Vitrified paving is where innovative technology meets quality garden paving. 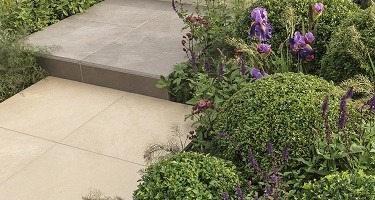 We have a good range of ultra-performance garden paving slabs from Marshalls, the leading UK manufacturer. They have used all their knowledge to create paving that is lightweight, and yet very strong. Vitrified paving is low maintenance and looks great both indoors and outside. They also absorb little or no moisture so you can spend time enjoying your patio rather than cleaning off moss and algae. Take a look at our very popular Marshalls SYMPHONY Vitrified Garden Paving if you want a pavement that is aesthetically pleasing and easy to maintain.